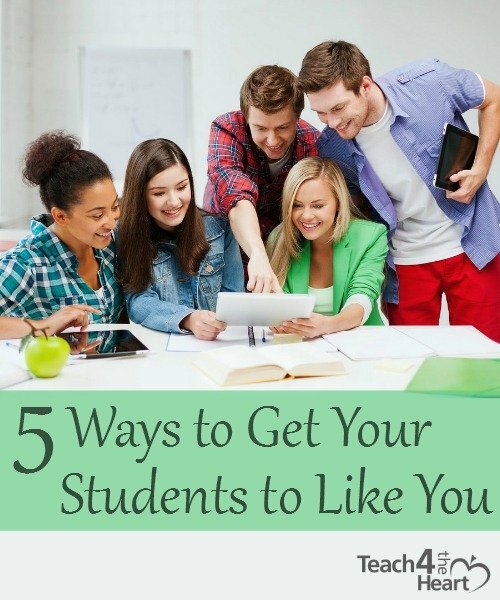 >> If You Want Your Students to Like You….. It doesn’t matter whether you’re a brand new teacher or are about to retire, I think, deep down, all of us want our students to like us. The problem, though, is that many teachers make the mistake of focusing on that desire and trying to be the “cool teacher.” And normally when that happens, they end up with a mess on their hands. Ironically, if you try to get your students to like you by being their friend or by being cool and hip, that normally ends up backfiring. So what should you do? Well, I’m glad you asked. Don’t worry about whether or not they like you. Yes, you heard right. If you want your students to like you, don’t worry about it. You can’t be seeking their approval, and you can’t be worried about what they think. If you do, you’ll end up making some very poor decisions, and your students will end up thinking you’re a big pushover. And they probably won’t like you. Be genuine. Kids can spot a phony really quickly, so don’t try to be something you’re not. Instead, be yourself. Be genuine. And admit your mistakes. Have you ever focused on getting your kids to like you instead of earning their respect? Share your experience with a comment below. This was a very helpful article! Thank you! I find that being consistest and kind helps, too!